The things that you do for the ones you love! 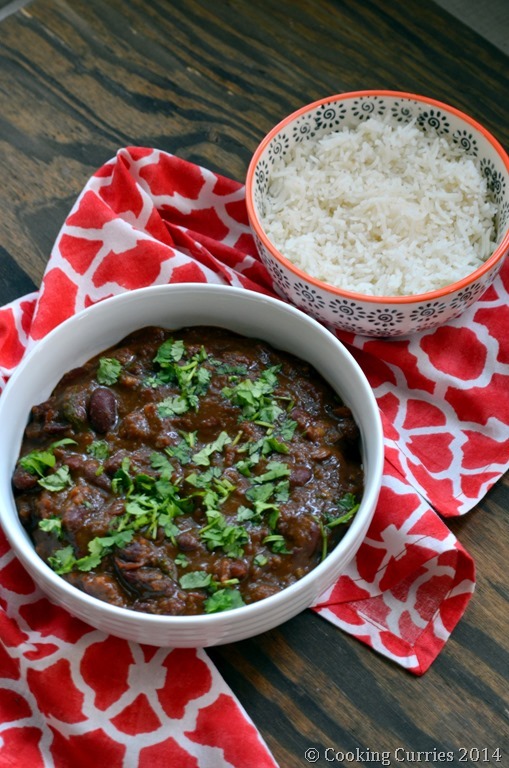 Cooking this Kidney Beans Curry – Rajma Masala is one of the things I do. Very objectively speaking, this curry is choking burst of flavors and earthiness of the beans all mixed in that just makes you feel in comfort heaven when you eat this with a bowl of rice. Look up for Indian comfort food and you will find the combination of Rajma- Chawal (rice) in there. But subjectively talking for my taste buds, I always find it a little meh. I mean its good, tasty, I get it. But the time it takes you to soak the beans overnight and pressure cook it, I would rather make a garbanzo bean curry – chole masala than this. That is just my preference though. But the husband loves it. LOVES it. The only thing he has ever asked me to make once in a while is this and this is one of the few things other than a chicken curry that brings that different kind of smile to his face when he comes back home to find this is what it is for dinner. Pressure cook the soaked kidney beans till they soften. You can cook them on the stove top as well, but that might take over 30 mins to cook. Do not drain once cooked. Reserve the water, that is going to become the base for the sauce. In a heavy bottomed pan on medium high heat, heat the 1 tbsp oil and add the onions, garlic, ginger, cloves, cardamom and cinnamon and saute till the onions start to turn color and the spices are fragrant. Remove from heat and let it cool down a little. Add this mixture to a food processor and grind to a paste. In the same pan, heat the remaining 1 tbsp oil and add this mixture to it. Saute till the oil starts to leave the sides of the masala mixture. Add turmeric, cayenne, cumin and coriander and saute for a couple of minutes. Add the pureed tomato and let the tomato cook for 2-3 minutes. Pour in the cooked kidney beans and the water and add salt. The water should be about 2 cups, if there isn’t enough of it add some regular tap water. Let it simmer till the sauce thickens a little and the beans soak in the flavor of the masala. Remove from heat. Garnish with cilantro and serve with basmati rice. What a delicious looking recipe. I haven’t thought to use beans in a curry so thank you for the idea. oh the things we do for love! Cooking food that we think is “meh” is top of the list… all to see those smiles! What a fabulous curry. Love kidney beans and love all of those spices. I’m always looking for alternatives to meat and this ticks all the boxes. Great photos too Manju! I love curries and I need more ideas to try. Glad I found your site. This is a good vegetarian dish that is hearty. Love different, exotic recipes! Definitely going to try this! Thanks for sharing. This sounds delicious! I love kidney beans as well! It looks so flavorful! I love kidney beans! rajma is one of my favorite things to eat but have never made it at home..needs to change that. You had me sold at curry. I love all things curry and those beans sound incredible. Rajama is my favorite too. It packs fiber and protein that gives whole day energy:) yum! 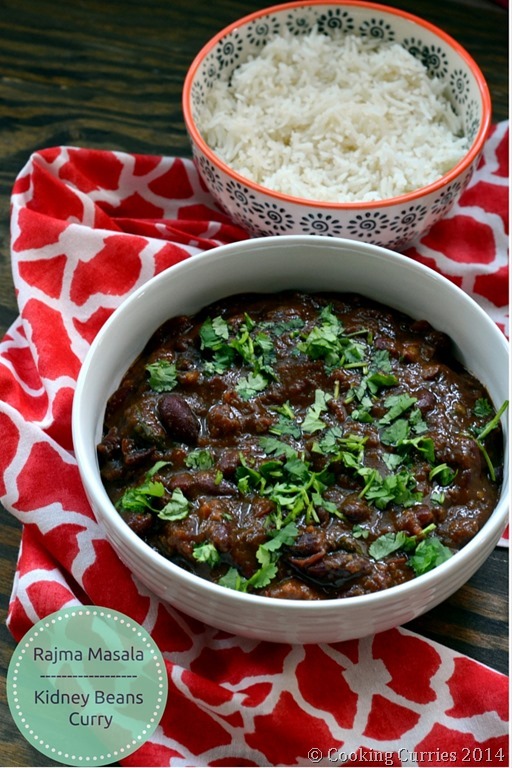 I love Rajma and actually have a version we’ve been making for years in college coming to the blog soon! This one sounds delicious…I’m totally craving it now after seeing your post! 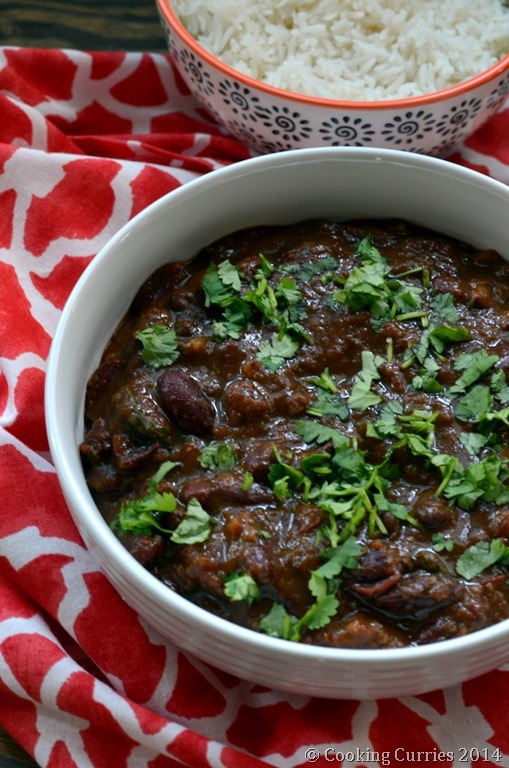 I love Indian food and kidney beans and can’t wait to try your recipe! I adore curry but have never used kidney beans on one. They are usually reserved for chilli. I really need to try your recipe. It sounds great!